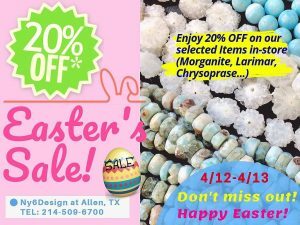 Pre-Easter Sale! Selected items (Morganite, Larimar, Chrysoprase….) enjoy 20% off. In-store only. Don’t miss out.